Current version: 1.2.2 (changelog). This script is a service, requires manual activation, please wait for our actions. 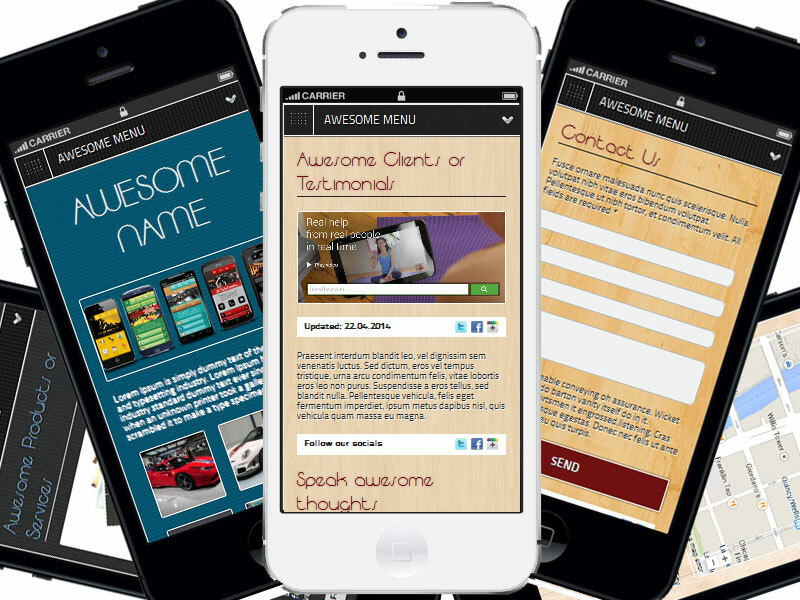 Access to create UNLIMITED mobile sites for your clients with 10 pre-made mobile themes. 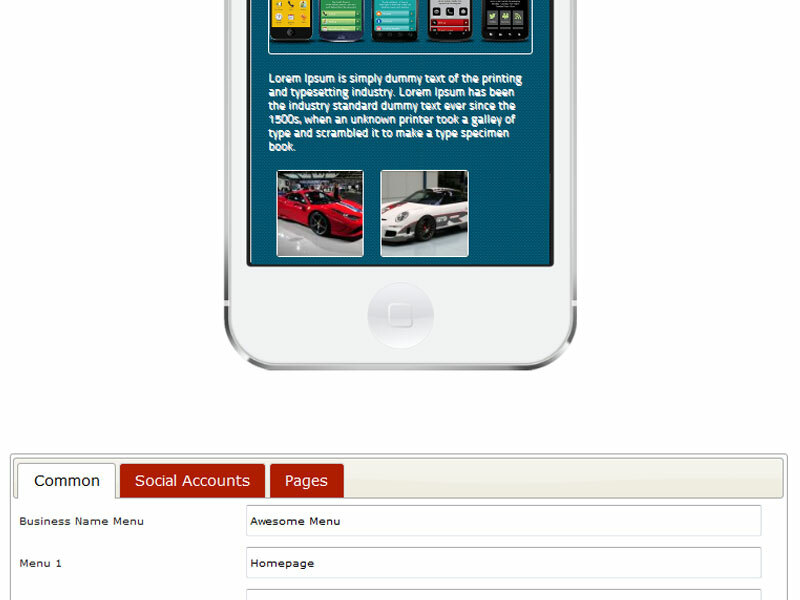 1 Year FULL Access to create UNLIMITED mobile sites with 189 built-in Mobile Modern Themes, Responsive Landing Pages. 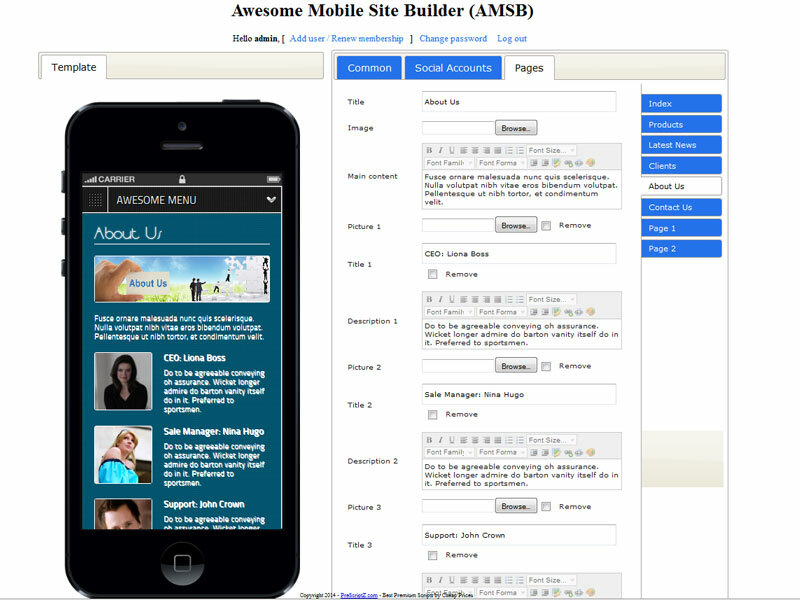 6 Months FULL Access to create UNLIMITED mobile sites with 189 built-in Mobile Modern Themes, Responsive Landing Pages. 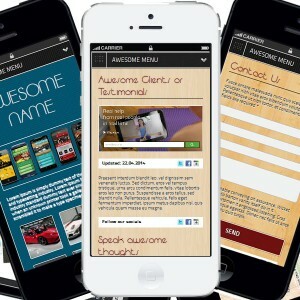 3 Months FULL Access to create UNLIMITED mobile sites with 189 built-in Mobile Modern Themes, Responsive Landing Pages. 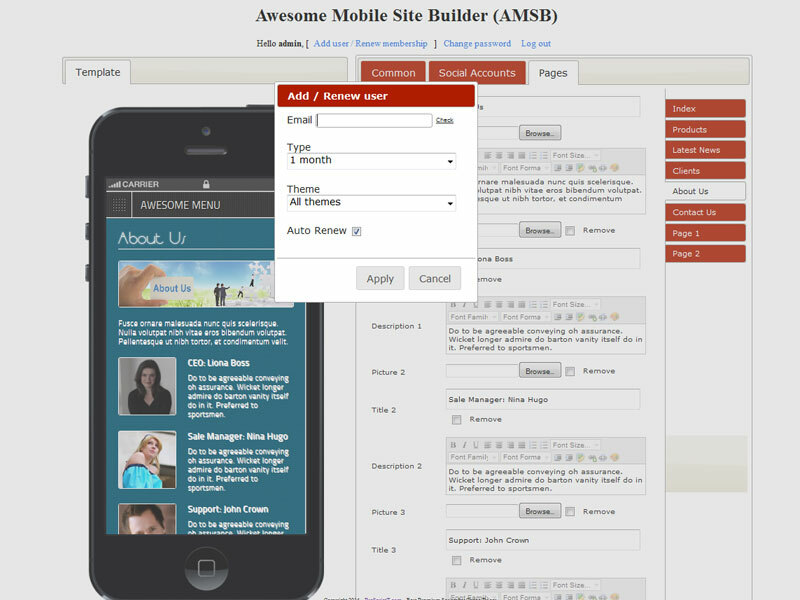 Monthly FULL Access to create UNLIMITED mobile sites with 189 built-in Mobile Modern Themes, Responsive Landing Pages. Category: PHP. 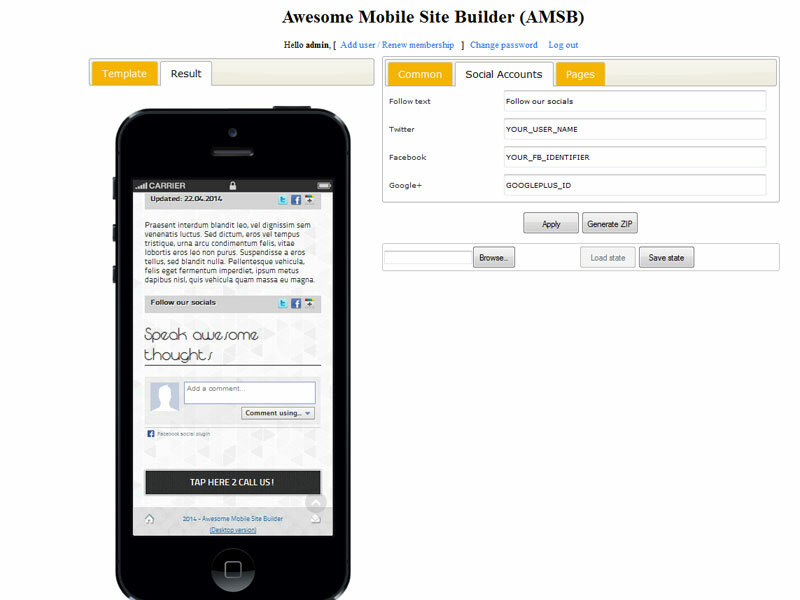 Tags: AMSB, business mobi site builder, business mobi site creator, business mobi site maker, Business Mobile Site Builder, create unlimited mobile sites, easy business mobile site creator, Easy Mobile Site Builder, Easy Mobile Site Generator, fast company mobile site, Mobile Site Builder, mobile site building tool, Mobile Site Live Builder, Mobile Website Business, no coding mobile site builder, Online Mobile Website Builder, simple company mobile site builder, small business mobile site creator, Visual Mobile Site Builder. 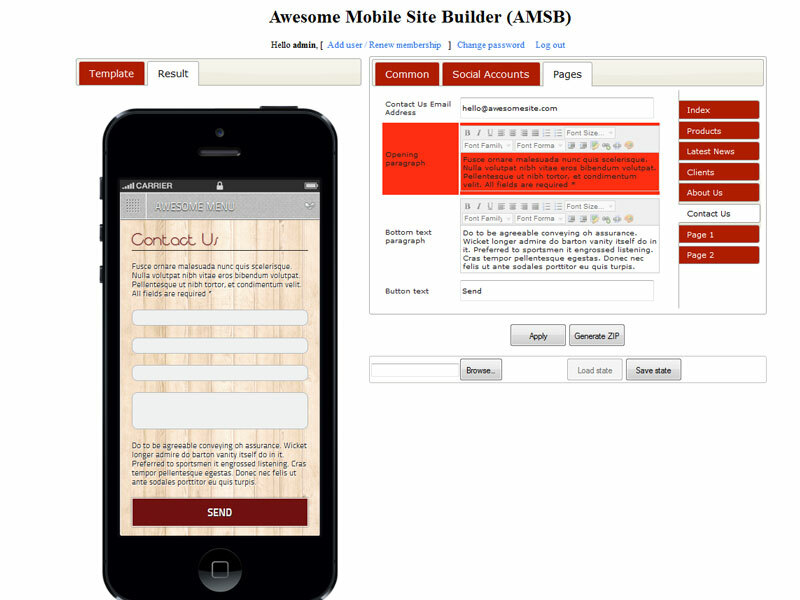 Just need an account to access the full features of Awesome Mobile Site Builder (AMSB) for creating UNLIMITED mobile sites. Mobile sites work on any device, any platform & any screen size flawlessly. 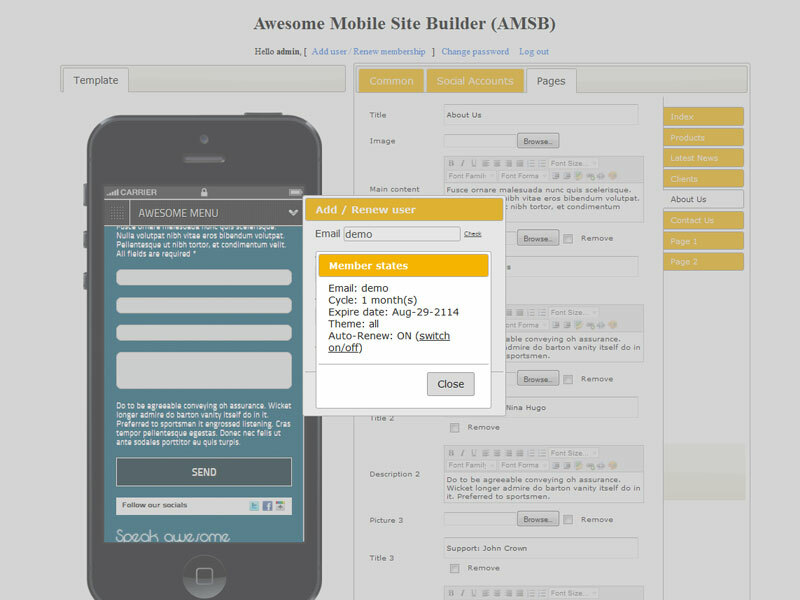 Be the first to review “Awesome Mobile Site Builder (AMSB): Live” Click here to cancel reply.